Just when fans thought they could not be any more amped up for Big Bang's upcoming fan meeting tour in China, more dates have been announced. On May 18, Wednesday, YG Entertainment has announced a whole slew of new cities and dates for the highly anticipated "2016 Big Bang Made [V.I.P]" tour. The renowned five-member boy group is poised to kick off the fan meeting tour on June 3 in Shenyang; June 10 in Foshan; June 12 in Nanning; June 19 in Qingdao; June 24 on Harbin and June 26 in Dalian. Big Bang will continue to head on their tour to Chongqing from July 1-2, before wrapping up the fan meeting event in Chengdu, China on July 3. The tickets for the newly announced host cities have already become sold out. According to the group's entertainment label, around 110,000 members of Big Bang's Chinese fan club, dubbed as V.I.P, are relied upon to attend the said fan meeting event, Yonhap News Agency reported. 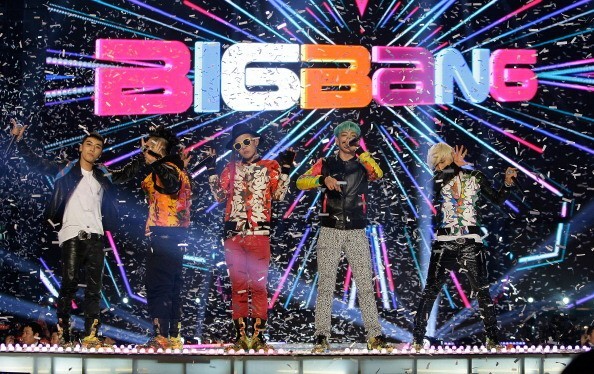 The highly anticipated forthcoming event marks Big Bang's second time in China. In early March, the group holds a fan meeting tour in the said country and has drawn more than 182,000 Chinese fans. The following month, Big Bang traveled to Japan for the Fantastic Baby's Tour, wherein only four members - G-Dragon, Daesung, Taeyang, and Seungri - appeared. The tour runs from April 22 to May 29. The group's rapper T.O.P, whose real name is Choi Seung Hyun, will not be present in the event due to his busy filming schedule. Big Band made their entertainment debut amid the YG Family 10th Year Concert on Aug. 19, 2006, at the Gymnastics Arena in Seoul Olympic Park. The group had their debut performance on a TV show on Sept. 23, 2006, and was shortly followed by the released of their first self-titled album. Hence, Big Bang recently announced that they will hold a series of a special concert to celebrate the 10th anniversary of their debut. The concert will kick off in Yanmar Stadium Nagai in Osaka, Japan on July 30 and 31 and is expected to draw 110,000 local fans, YG Life reported.